You seem to think I'm talking about power. Shakespeare is infinitely more important than whoever was the tribal leader of some part of Africa back in the 15th century although probably less powerful at the time. Importance and Fame are two different things. There are a few places that you could call 'multicultural'. Bradford is pretty multicultural, Manchester, etc. oh if she was black she would be called Keisha Middleton. 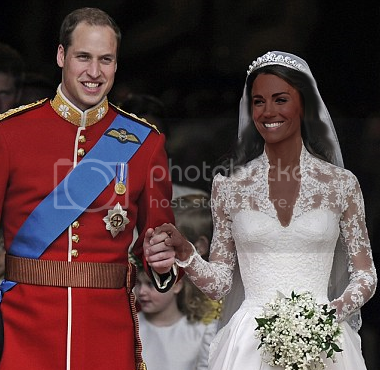 What if Prince William was really black and he didn't know it? What if Di was cheating with a black man? so you can't be a black and British... because members of my BLACK family are in the British army. so? there are nepalese gurkhas in the british army, they are not british. Not really they're often interlinked. The cultural influence of the British Royal Family is far superior to than any other, it's like comparing Hollywood to the Danish film industry. As a result of their cultural significance worldwide the British Royal Family are far important than others. Prince William loves black people though, he even proposed to her in Africa because he loves the place so much. Dont you know? He went there really to dump his mixed race love child . I don't think the two are the same thing. I know of a few people who will openly admit to seeing Black people (esp.) as inferior, yet think Africa posseses great natural beauty etc. Actually one of them lived in various parts of Africa over the course of 2 - 3 years through work. He reckons its his experience that has made him come to the conclusions that he has. Just for the record, I don't agree with him one bit. Yes but he's done plenty of charity work in Africa and has plenty of friendly relationships with black Africans from the time he spent there. Shame though, would've been funny seeing some little coffee coloured princes and princesses running about in a few years time. This going to sound like I'm just being a ****.. but the same applies to this guy too. Don't get me wrong, he's not 'overtly racist', if thats the correct terminology. He would never call a black person a 'n*****' or anything along those lines. However, marry a black person? Never in a million years. While he was there he did lots of charity work, he was there through his job and being paid in GBP. His living costs were very little, so he had a lot of disposable income which he says he donated to the more remote parts of the country where food/hygiene etc. was a problem.